You've probably heard it before. That little voice in your head that gets louder and louder, the more you step out of your comfort zone. The voice of your inner critic. Maybe it sounds something like this, "Do you think you have enough experience for that?" Or, maybe it's more like, "No one is going to take you seriously." Or, my personal favorite, "Do you really think you can pull it off? You're not going to succeed, and you'll end up wasting all that time." I'll let you in on a little secret. I battle the voice of my inner critic every single day. 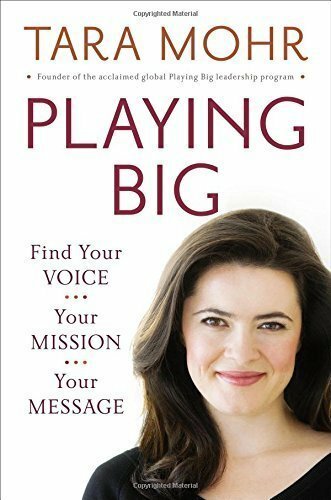 I was thrilled to come across a book called "Playing Big: Finding Your Voice, Your Mission, Your Message." This book contains a number of exercises that I have found to be so transformative. In today's episode, I'm going to walk you through one of those exercises designed to silence your inner critic. I'll walk you through the exercise, and then bare my soul a bit and introduce you to Ron, my inner critic. I hope this episode helps you quiet that voice in your head that is attempting to keep you playing small. You are so much bigger than that.